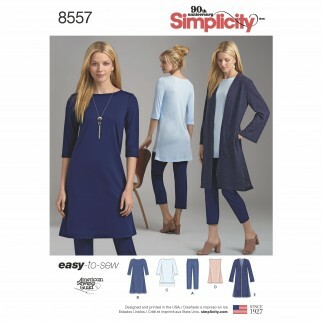 Womensand miss petite easy to sew wardrobe essentials. Pattern features knit cropped pants, dress or tunic and duster. This Simplicity sewing pattern carries the American Sewing Guild logo in support of the guild.